I felt it was quite difficult for me to finish this book especially for the last few chapters but I have to complete the book by end of this week. Luckily, the story was not that complicated to understand. I bought this book a few months ago, together with other novels at Big Bad Wolf Books Warehouse Sale. I guess when it comes to book sale, it's not that difficult of making some mistakes in choosing a suitable book as there are too many varieties and too crowded for you to make the right choice. I have to admit that it was a mistake for me of buying this book as the story totally not suitable for me. To be honest, I never read a romance novel (I don't think I did) when I was a teenager because I never like to read romance stories or trying to develop various of imaginations like other teenagers enjoy doing it while reading romance novels. Also, I never interested to explore it especially with my current age. Unfortunately, my mistake in choosing this book has forced me into this exploration. Although the story is simple and easy to understand but I never like the story and most of the time, the characters are so intolerable. I'm totally agree with one of the reviews on Goodreads. The story failed to capture her interest, the characters are not likeable, a lot of irrelevant descriptions and the story is too slow-paced. That was exactly what I felt about this book as well. The only character which can be considered as a normal human is Viva. I felt this book is more suitable for romance or teen readers. Besides, I'm not into a story which has very strong feminism. Somehow, this book reminds me of another book which I used to read when I was young. The title of the book is 'Little Women' which tells the story of the life of four sisters. I guess that was the first feminine book which I've read in the past and I never read one until now. 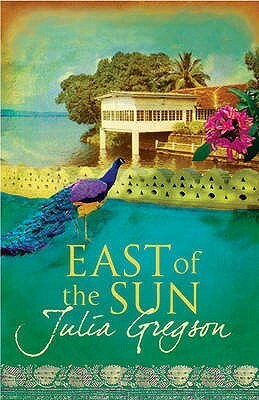 More reviews can be found on Goodreads: East of the Sun.